SEOUL, Sept. 5 (Yonhap) — BLACKPINK’s first album released in Japan on Tuesday rose to the top of a weekly chart run by Oricon, the country’s key music sales tracker. 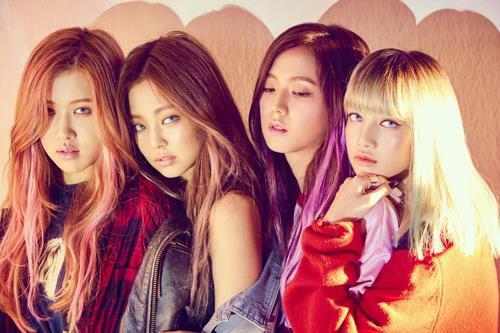 The team’s Japanese debut EP album titled “BLACKPINK” stood at No. 1 on Oricon’s Weekly CD album chart as of the week of Sept. 11, according to Oricon. The record has sold some 39,000 copies since its Aug. 30 release. BLACKPINK became the third-ever international artist to conquer Oricon’s weekly chart through a debut record after Russian duo tATu in March 2003 and South Korea’s 2NE1 in September 2011. The quartet, one of the biggest breakout stars in K-pop last year, is YG’s first girl group in seven years after the now-disbanded 2NE1. The album includes the Korean and Japanese versions of the group’s hits “Boombayah,” “Whistle” and “Playing With Fire,” among others. The band held a Japanese debut showcase at the Budokan in Tokyo last month and also performed at A-Nation held at Ajinomoto Stadium in Tokyo. Hi friends this is a nice post, can you addicted to play online game then go webpage gamesdro and play the many fabulous free online games, this will be good time taken for you on your pc tablet & smartphone.